Sutherland Plumbing’s Co-Owner & Master Plumber, Ti Sutherland – Gets HUGE Accolades from Yet Another Satisfied Customer! This entry was posted in Meet Sutherland Plumbing!, Sutherland Plumbing at Play, Sutherland Plumbing at Work, Sutherland Plumbing Videos and tagged Family Company, Portland Plumber, Ti Sutherland on June 29, 2017 by Ti Sutherland. Sutherland Plumbing Has Yet Another Satisfied Customer!!! Sutherland Plumbing’s John Benton gets a warm “Thank You” from another satisfied customer!!! This entry was posted in Company Info, Meet Sutherland Plumbing!, Sutherland Plumbing at Play and tagged Family Company, John Benton, Portland Plumber on June 19, 2017 by Ti Sutherland. 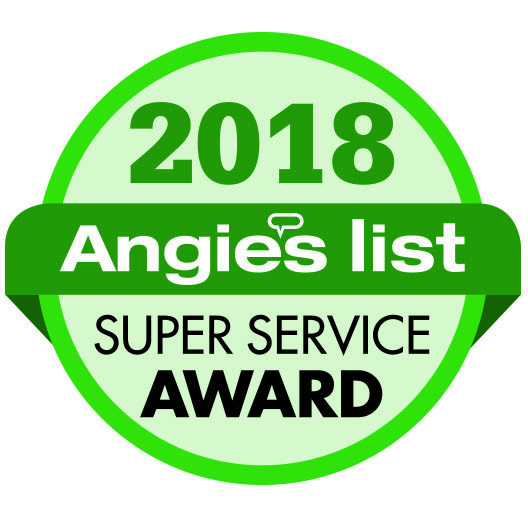 The Proof is in The Reviews – Thank You to our Customers!!! This is the first review I’ve ever written and Sutherland Plumbing deserves it! John and his crew were extremely professional and came over one day to check everything in the house to determine what might have caused our high water bills. They came back a few days later to replace the upstairs and downstairs “contractor special” toilets; a lowboy, under the stairs, a water heater (including a drip pan & hose to the crawl space in case of an overflow leak) and the outdoor hose faucet with a non-freeze unit. John explained everything thoroughly, they worked quickly, gave us discounts, used only high grade materials, covered their work shoes and left everything spotless!!! What more could you ask for? You couldn’t even tell they had been here! And, without mentioning it, John replaced one of the shower heads and even put a light source & switch in the crawl space so that we no longer have to go down there like miners with our flashlight and lantern! When you consider that we now have low flush, one-piece “Toto” toilets, a secured and potentially flood proof Bradford-White water heater, crawl space lighting and a non-frost outdoor water outlet that will be trouble proof for many years to come, it was worth it. If you want to use lesser quality/lower price products, they might not be the company for you. But, if you want long-term, solid products put in with excellent workmanship, then Sutherland Plumbing are the ones to call. Value. Often it’s the peace of mind in knowing you received an excellent product with exceptional service at a fair cost, along with a great warranty. I’m the maintenance coordinator of a 38 unit condo complex, so I see a lot of contractors every week. When my own hot water heater needed to be replaced, I called Sutherland Plumbing. John was quick to return my call, provided a written estimate right away and by the luck of a canceled appointment, was able to get out to me the same day (which is really helpful when you have no hot water in the house)! John and Cameron were efficient, clean & punctual. They put plastic covers on the stairs & entryway and wore shoe covers, etc. They improved on the existing situation, explained what they did and how to operate the new unit, cleaned their work area to spotless when finished and the price came in at bid, even showing me how to save $25 on the bill. Nobody likes to have to come out of pocket for unexpected homeowner repairs but I was very satisfied with a job exceptionally well done. Value. I found it with Sutherland Plumbing and give them my highest recommendation without hesitation! You know when something important or expensive breaks, it’s usually at two o’clock in the morning on a Sunday and no one will help you for days? Sutherland Plumbing will help you ASAP. I’ve called Sutherland Plumbing on multiple occasions. They’ve always been honest, forthright, realistic in their quotes and delivery of work quality. They show up when they say they will and are good at communicating. They are professional, courteous and respectful. I know Sutherland Plumbing will fix things the right way, the first time and I trust them not to try and up-sell me on things I don’t need or want. I trust them in my home and I trust them to help me when I need a plumbing expert. Every time. This entry was posted in Bathroom Plumbing, Outdoor Plumbing, Reviews & Testimonials, Toilet Plumbing, Water Heaters and tagged Cameron Bloom, John Benton, Portland Plumber, Portland Plumbing Review, Sean Anderson on June 7, 2017 by Ti Sutherland.